Easily group your Gravity Forms fields into accordion-style section. 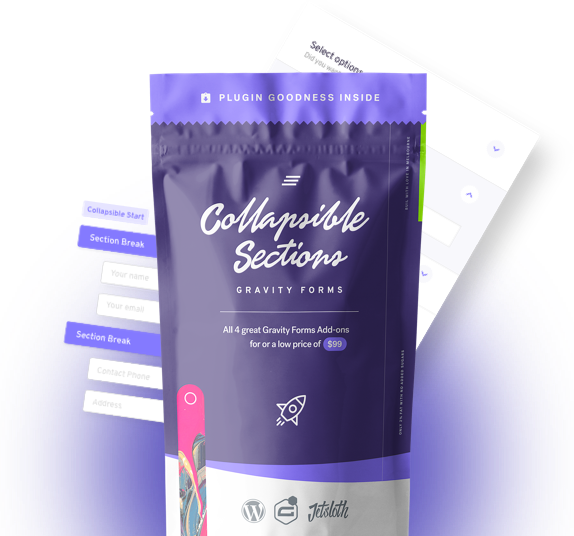 Collapsible Sections for Gravity Forms allows you to easily streamline the way your users or customers interact with your large Gravity Forms. Make your long forms easier to navigate by grouping them into collapsible sections and increase your form conversion. Long forms are notorious for bad conversions, Collapsible Sections will convert your forms into beautifully displayed, easy to use, conversion generators. We’ve all been there, needing to add another 30+ field to an already extremely long Gravity Form. Gravity Forms bulk add, allows you to add all of your favourite fields easily and quickly to a new or existing form. Simply select the forms you want to add, edit the field labels, order the fields and you’re all set to go! 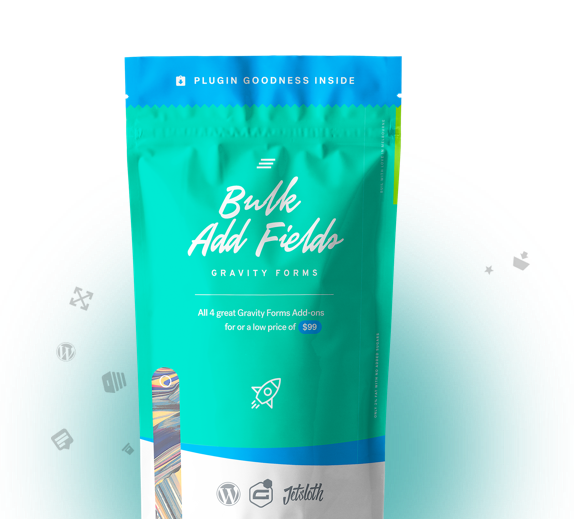 Gravity Forms bulk add is the quickest way to add loads of fields to your forms in seconds. 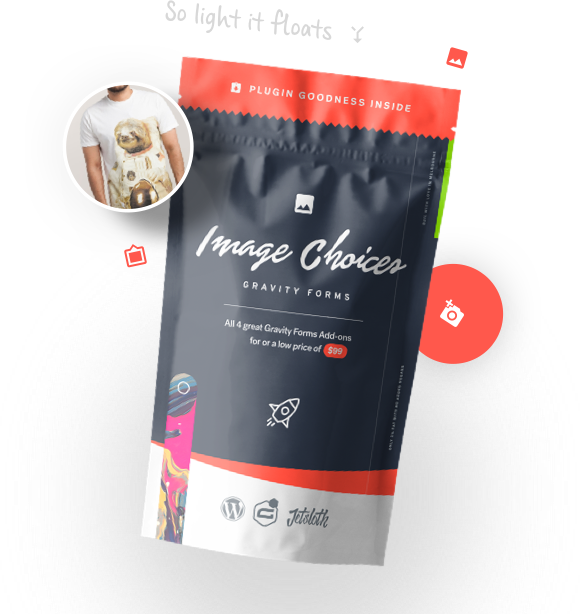 Rather than a thousand words in your radio button or checkbox labels, just insert an image. It’s dead simple with – enable images in the field, browse the media library and insert your selection. Duplicate & delete fields, copy them to another form, bulk edit their labels, CSS classes and required settings quicker than ever before. 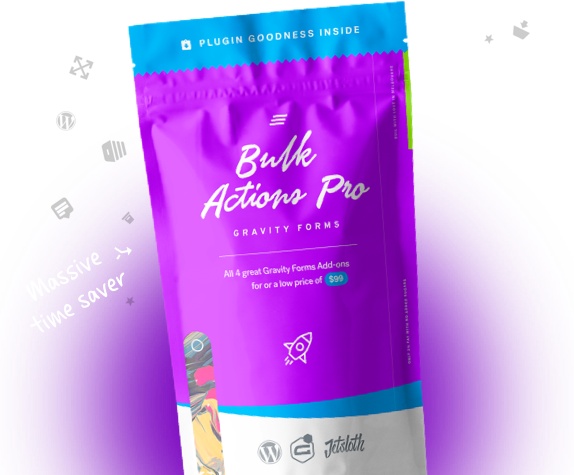 Bulk Actions for Gravity Forms WordPress Plugin offers users 1 click selection options to select all, none or inverted selections. Once you’ve selected the fields you need, you’re all set to start optimising your forms. Heavy Gravity Forms user? 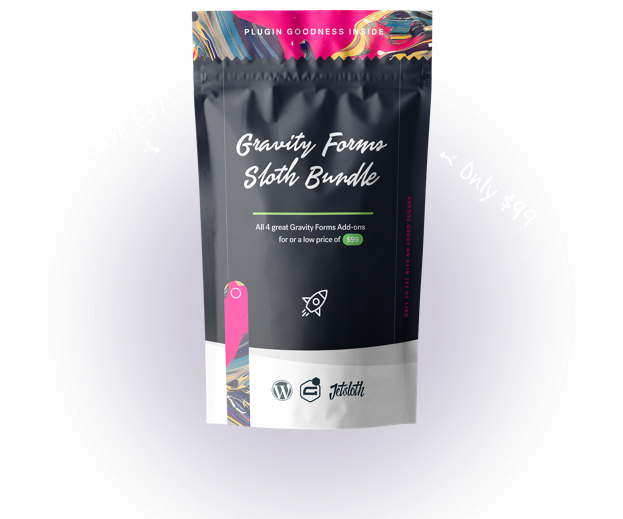 Then you’ll love the Gravity Forms Sloth Bundle for only $99. Includes our 4 great plugins, Bulk Actions Pro, Image Choices, Collapsible Sections and now Bulk Add.Pretty simple decision really! Purchasing the Sloth Bundle allows you to use each plugin for an unlimited period of time. It’s not a recurring subscription. For continued support and updates, all licenses must be renewed. Renewals have a 25% discount!